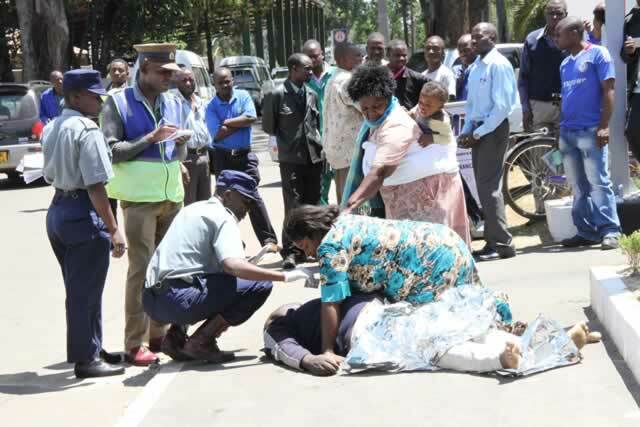 The body of Justin Janhi who collapsed at Zinara House at the Harare Agricultural Showground on his return to collect papers, being inspected by his wife and relatives. A Harare man collapsed and died at the Zinara Exhibition Park outpost in unclear circumstances this afternoon. 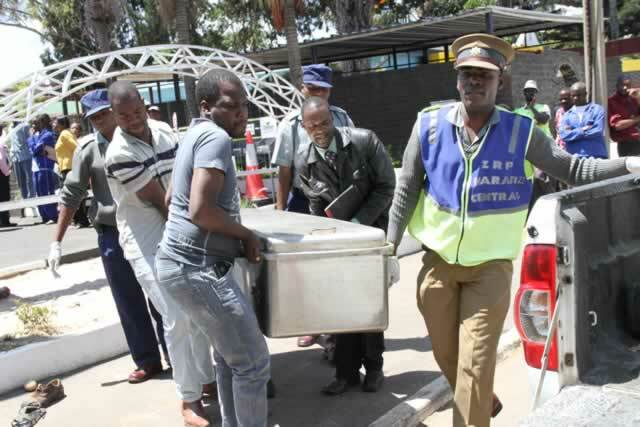 According to eye witnesses, Justine Jani collapsed at around 9am when he had come to collect a vehicle registration book he had forgotten at the post after making a payment for his vehicle licence. 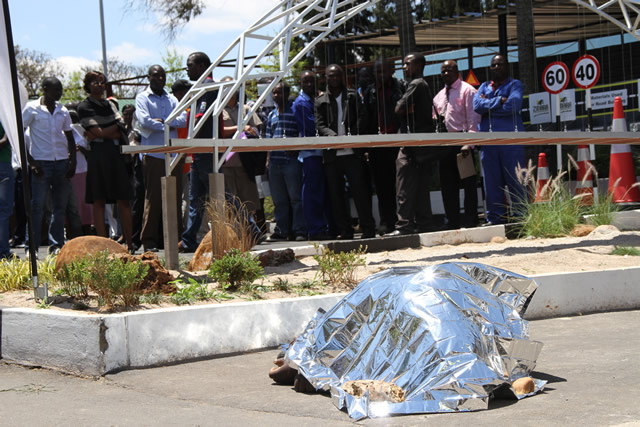 The body of Justin Janhi (covered) who collapsed at the Zinara Exhibition Park outpost. The late Jani of Tynward, who came in the company of a friend Mr William Chaipa to collect his vehicle registration book, suddenly collapsed at the doorstep before collection. “We had come to collect the registration book, but he collapsed at the doorstep and died. “I followed after thirty minutes and found him lying unconscious on the ground before he was pronounced dead by the ambulance paramedics who attended the scene,”said Chaipa. Police Officers carry the body of Justine Janhi which was taken to Milton Park Police station. The body was taken to Milton Park Police station.